The most painful thing I do regularly is go to church and try to sit in a relatively civilized way for one to three hours--usually only one. In the last three days, I have sat through two 2+ hour plays and drove over 4 hours twice. I now feel like I was thrown down three flights of stairs. 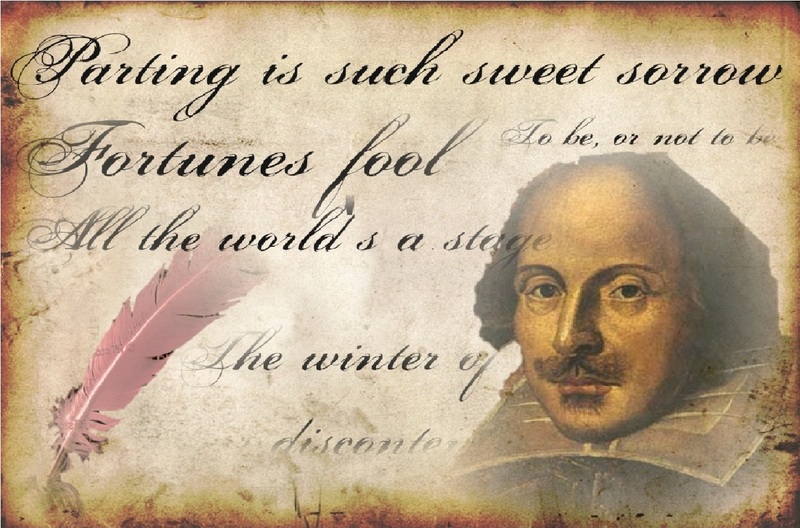 Yes, William Shakespeare battered me to death. But let's start this story at the beginning. 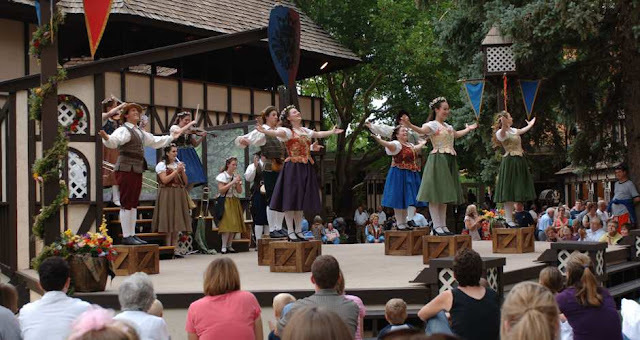 This time, instead of camping and scenery, it was the Shakespeare Festival in Cedar City Utah. I went with a friend of mine, another retired teacher. She is twenty years older than me and recovering from a knee replacement. I can almost keep up with her. Our plan was a sane one for two old ladies. We saw two plays in two days and mostly napped, read, or sat around the rest of the time. I still worried, knowing this trip would take a lot out of me. My friend worried for other reasons. She is not a literature nut and is skeptical when I claim (accurately) that Shakespeare is modern English. 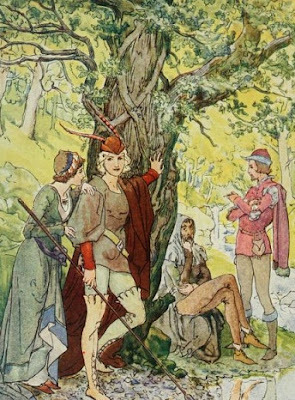 We bought tickets for As You Like It and A Midsummer's Night's Dream. To prepare, my friend watched movie versions of our plays and read several summaries. To be able to answer her questions intelligently, I downloaded the LibriVox versions of both plays and listened to them many times. That was delightful. All literature worth reading is worth re-reading. There is so much to notice in the richness of language and details about setting and characters. In the case of As You Like It, there is also so many characters and conflicts that multiple exposure is necessary to make any sense of it. 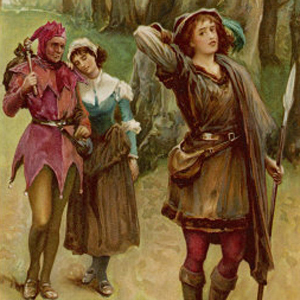 Within the course of the play, four couples fall in love and get married, and two sets of feuding brothers are reconciled. Add cross-dressing, escapes into the forest, competitive wrestling, and a very prominent character that has nothing to do with the plot. It's confusing. I'm reminded of several older movies I've seen. White Christmas is one. It seems like the studio has numerous song and dance acts and decide to write a story to tie them together. In my imagination, young Shakespeare has some good poems, songs, and comedy bits, and a troupe of actors with specific talents that need to be considered. Instead of just putting on a variety show, he creates the wild plot of As You Like It. The company did a good job of staging and physically acting the story to make it much clearer than it was on paper or in recording. 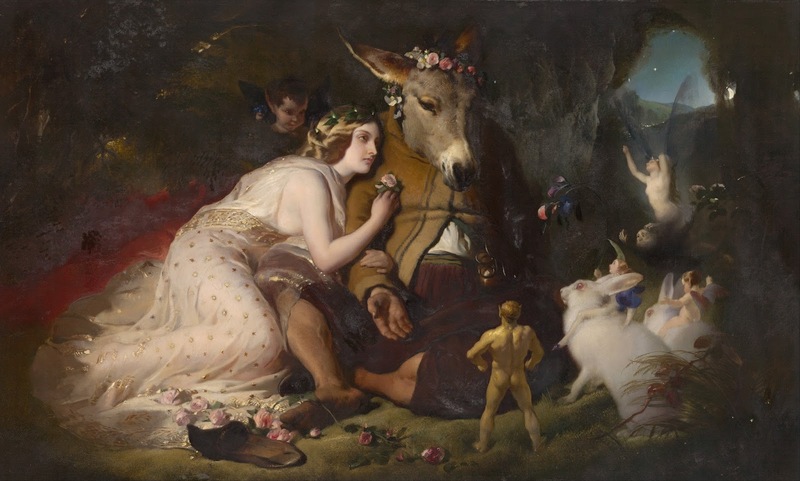 In fact, it was A Midsummer Night's Dream that my friend found more confusing. 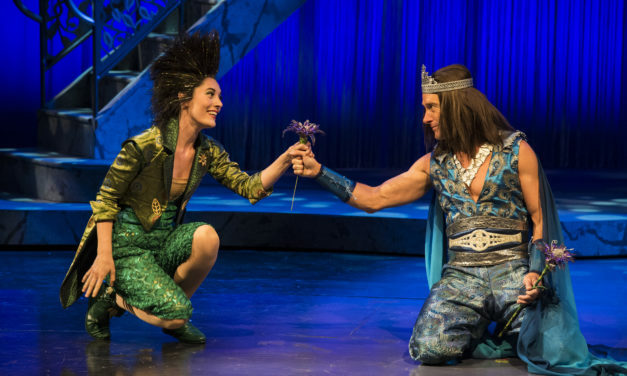 She could have done without the fairies, except for Puck, who (as always) stole the show. Puck and Oberon from the show we saw. Because I was in the orchestra for a production of this play in high school, I can't tell how many times I've seen it, but I still noticed new things. Until the second or third time through the recording, I didn't realize that both the king and queen of the fairies had past romantic histories with the Duke of Athens and the Queen of the Amazons, whose approaching wedding provides structure for the rest of the play. In the past, this couple seemed almost like part of the scenery, but this time, their story jumped out at me. The duke says he wooed the queen with his sword, but hopes to win her love through the pomp and celebration of their wedding. At first, the queen shows distain for the duke. But he courts her in every appearance and wins her love by the time of the wedding. I think the actor and actress in this role were skilled enough to tell this story, mostly through body language, even though the main focus was on other characters. The play within the play, performed by Bottom and the other commoners was probably the most confusing. I knew what to expect and had heard the jokes enough times to get them, but my friend found that whole thing a weird distraction from the love stories. Before starting home, we looked at next year's schedule and added a third play and third day to future plans. Despite pain and exhaustion, I am looking forward to it. 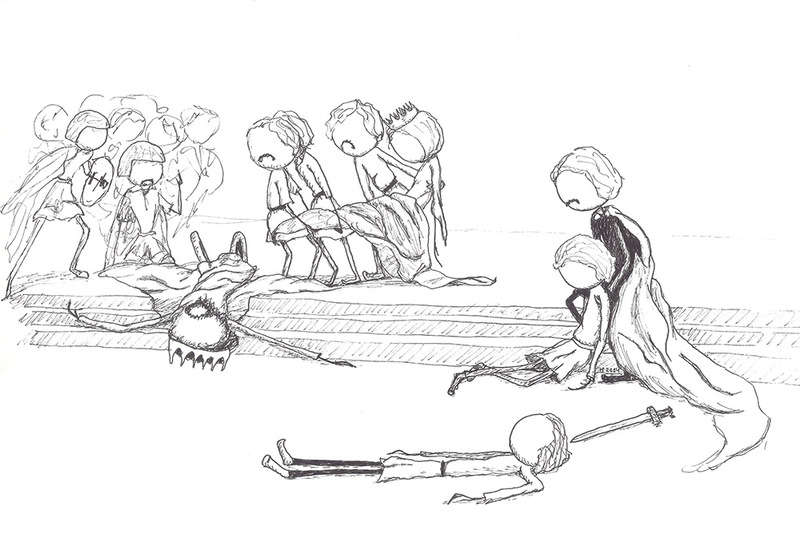 Shakespeare manages to kill many of his major characters thousands of times a year every year. I am joining his recurring bodycount. I saw the national Shakespeare theater company perform Othello on the lawn in front of the Washington Monument as a young man. I fell in love. Its been a long time love affair. Ah, Othello is one of our choices for next year. I've read it several times, but never seen it performed. I'm hoping to find some good performances locally in the meantime. PBS did a great job with Richard III and prequels earlier this year and our high school did an astounding Hamlet.